The controversial new voting restriction will be in full effect for the first time during Tuesday’s presidential primary. O’Brien is now the New Hampshire co-chair for Ted Cruz’s presidential campaign. He failed to block election-day registration and student voting, but New Hampshire Republicans did succeed in passing a new voter ID law—which will be fully implemented for the first time in Tuesday’s primary. 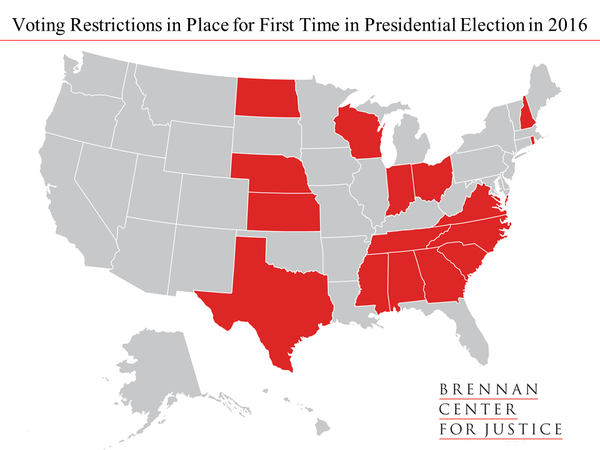 New Hampshire is one of 16 states with new voting restrictions in place for the first presidential election cycle in 2016, according to the Brennan Center for Justice, accounting for 178 electoral votes. 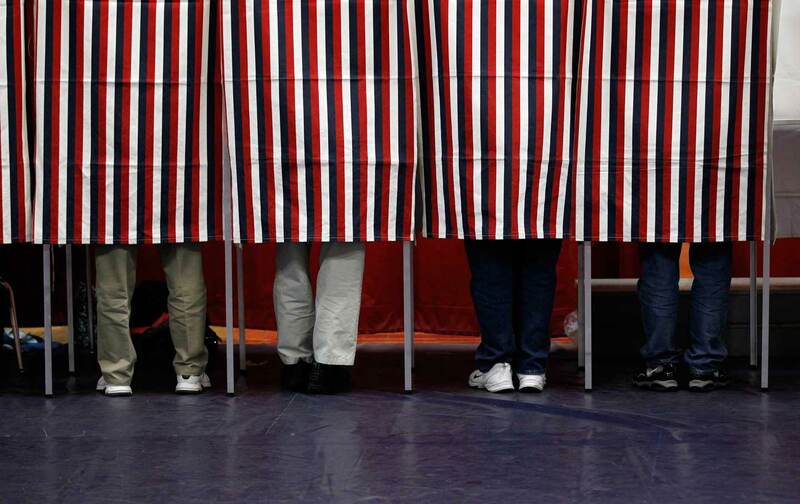 New Hampshire voters will be asked to show government-issued ID when they cast a ballot. Those without the required ID can still cast a regular ballot by signing an affidavit, but they will have to let poll workers take their pictures, which is raising alarms among voting-rights activists. “It may seem to some like a mug shot,” says Devon Chaffee of the New Hampshire Civil Liberties Union. It could also lead to longer lines at the polls. Wait times increased by 50 percent when the voter-ID law was partially implemented, without the camera requirement, during the 2012 election, the fifth-largest increase nationwide according to the Pew Research Center. “Reports to voter protection hotlines and reports in newspapers after the election showed that at least 29 cities and towns experienced serious problems with lines,” found the New Hampshire League of Women Voters. The NH polling place camera mandate is unprecedented, and we remain concerned it will create confusion among poll workers and voters leading up to Election Day, as well as create election administration problems during and after Election Day. No other state in the country has attempted to take photos of lawful voters at the polls. We consider this legislation unfounded, unnecessary, and untested. The photos taken by poll workers will be affixed to the affidavits, but will not be stored electronically for future purposes, and it’s not clear how they’ll be used or why they’re necessary. During the 2012 election, 5,609 people signed affidavits at the polls in order to vote. That explains why New Hampshire Republicans are making it harder to vote.